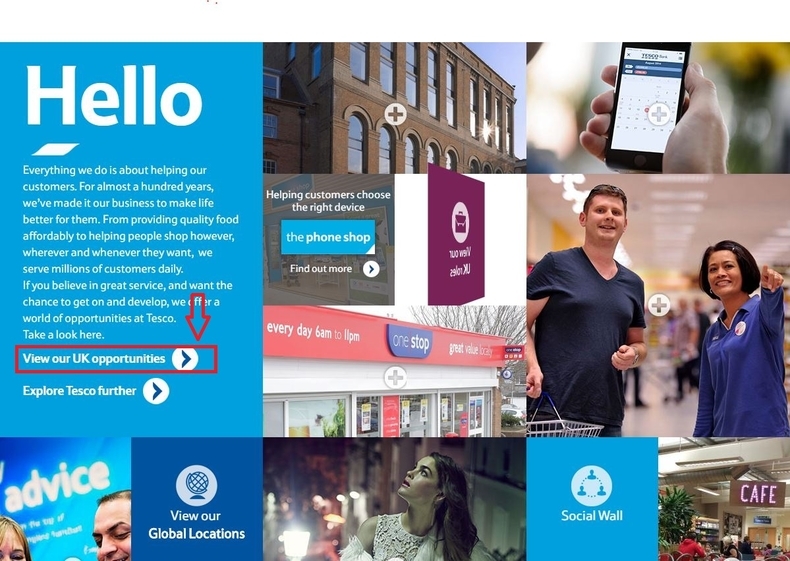 Pay a visit to the Tesco careers page at tesco.careers.com or tesco.com/careers and click the button "View our UK opportunities" to search jobs. You are rendered two application methods in this step. 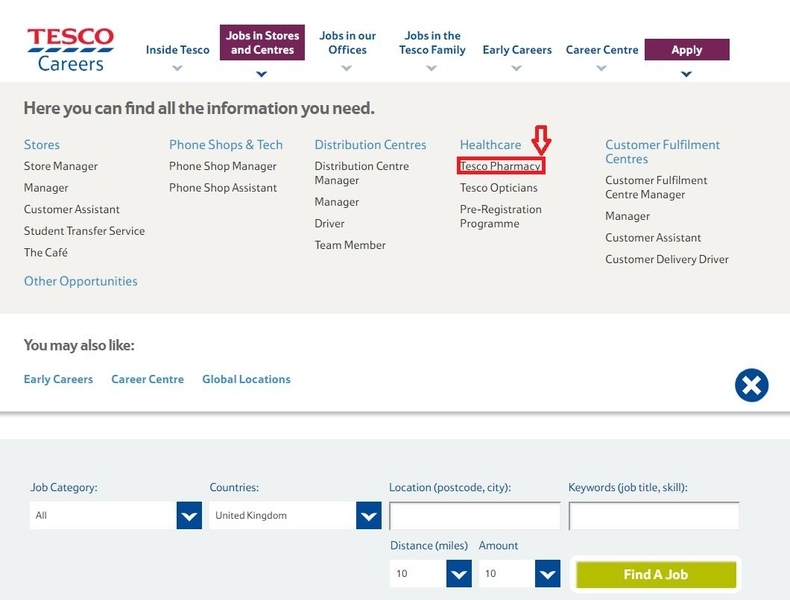 You can choose one of the three job categories - jobs in stores and centres, jobs in our offices and jobs in the Tesco family, then select a job type from the list shown as below to move on. Also, you may enter keywords into the required field or select the job category, country and locations to find job openings at present. 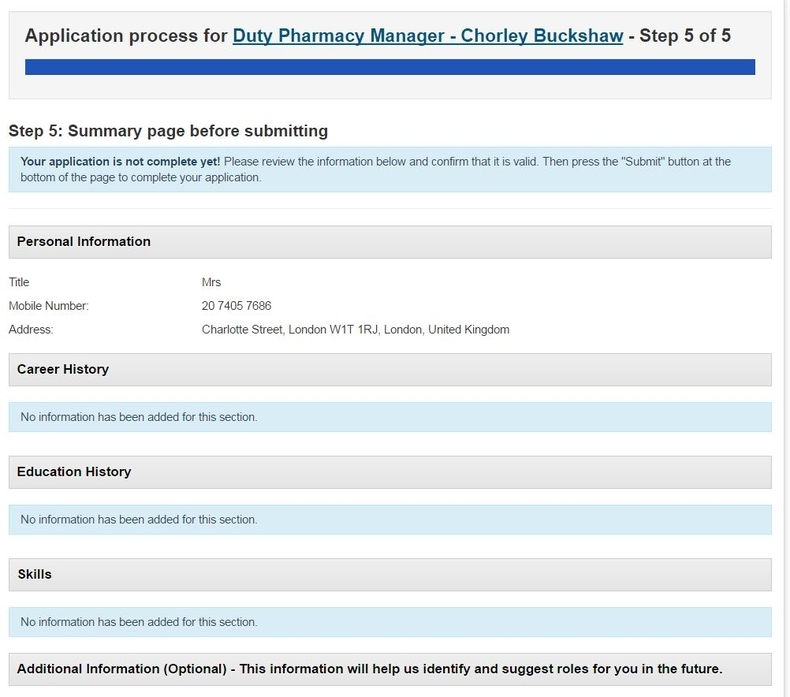 Here the former method will be taken as an example to tell you how to apply for a position in Tesco step by step. You will enter a page on which some of the vacancies of the job type you chose in the last step are listed. 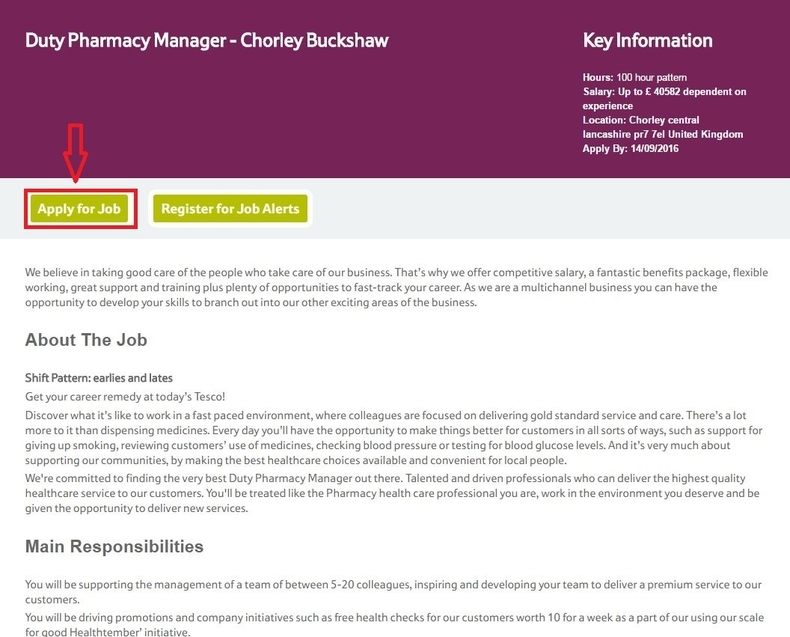 Choose one position in accordance with your qualifications and interests by clicking the job title directly. After you choose the position, you will be given a job description page which explains in detail the main responsibilities, functions, skills and qualifications about the position. Read this page carefully to see if this position suits you or not. 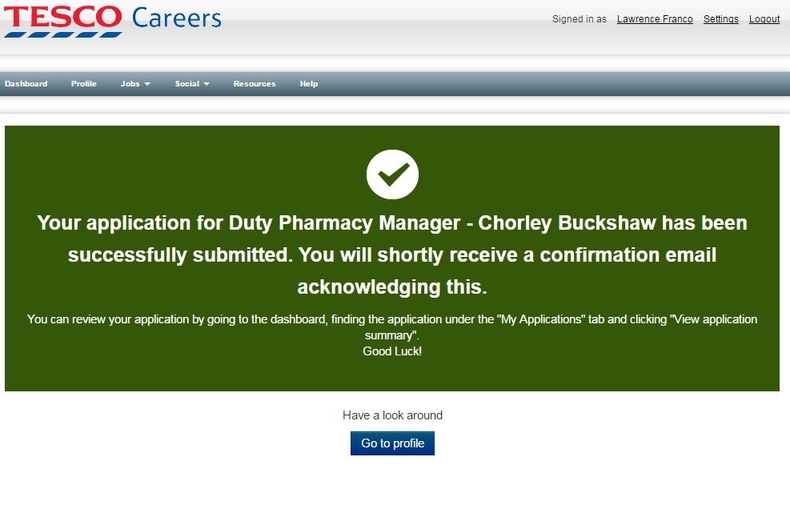 And if you decide to apply for it, please click the button "Apply for Job ". There is one thing needs to be noted that you are required to create a Tesco account if you are a new user. You may create your social media account or create by providing your email address. There are five more steps to finish the whole application process. You need at first to build your profile by filling out your personal information, career history, education background, skills, required salary, personal summary, interests and hobbies, personal reference and disability status. The fields with the asterisk are required. After you provide the information, click "continue" to go to the next step. There are about 14 questions in this step which will be shown in 4 pages. Answer them carefully one by one, and once you finish the questions on each page, click the button "Next" to continue. After you answer all the questions, click the button "Continue" to go forward. 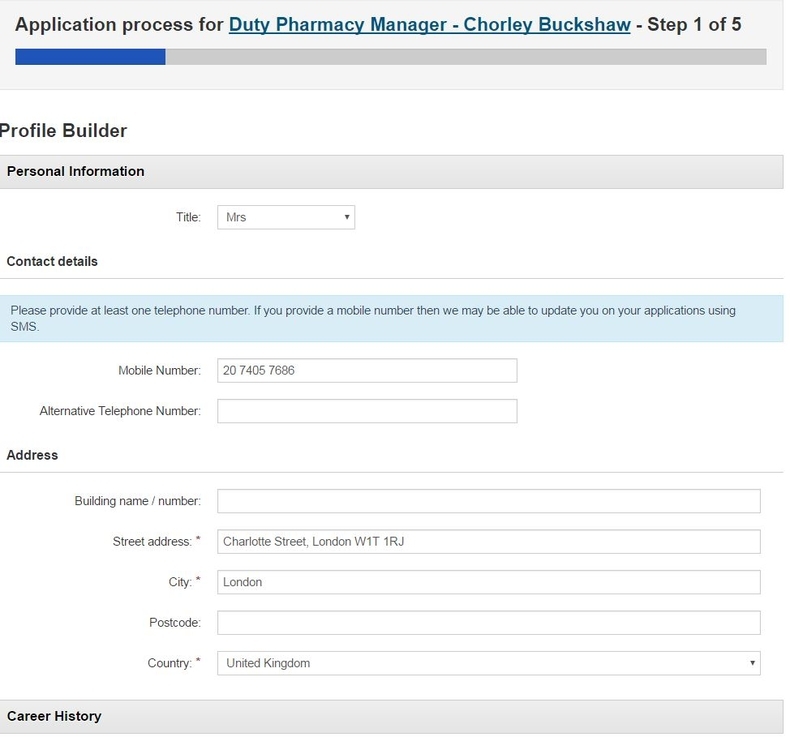 To make your application profile more intact, you need to upload your CV document in this step. Choose the file from your computer and click "Continue" to move on. 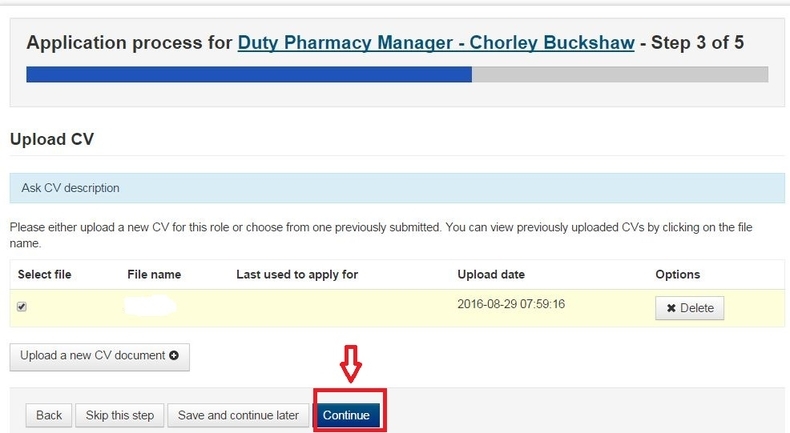 And you can upload a new CV document by clicking the according button if you want to change the file you've uploaded. 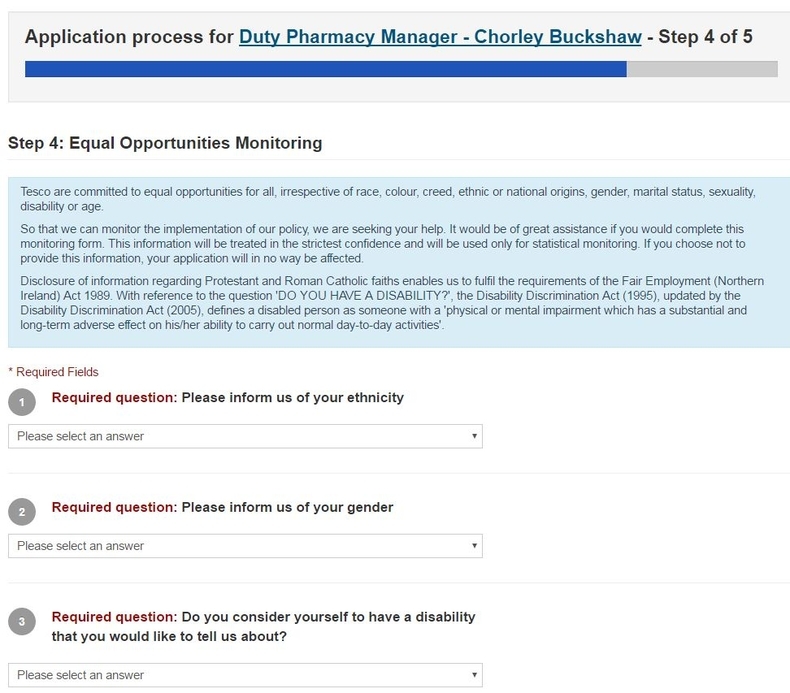 You are required to answer some questions about equal employment opportunities. All the required fields are marked with an asterisk. Here questions about your ethnicity, gender, age, disability status, etc. are included. Answer them and click the "continue" button to go to the next step. You will enter a summary page after you finish the eight steps above, on which all the information you provided are listed. Browse this page and click the button "Submit" at the bottom to submit your online application. 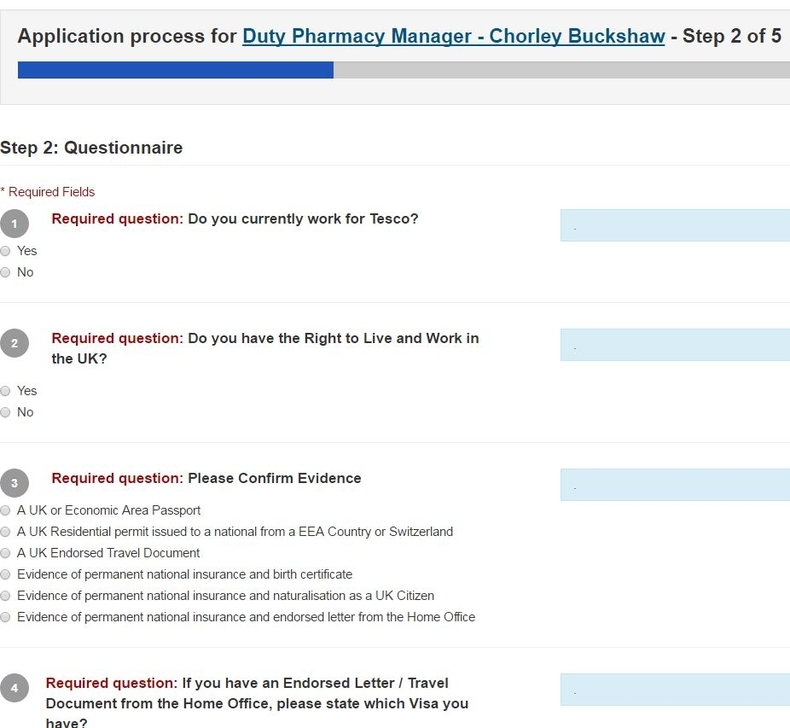 With the nine steps above are done, you have get your online application at Tesco totally completed. You will receive a confirmation letter acknowledging your submission, so go to check your email box! 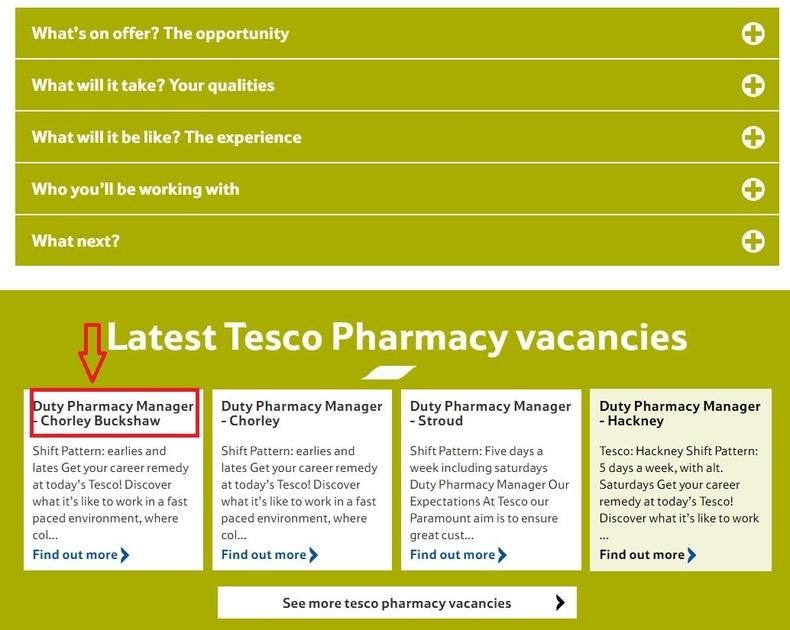 Click tesco.com/careers to apply for Tesco jobs online.